Join Bexie and Sarah for a mindful afternoon of yoga, meditation, intention-setting and creativity. 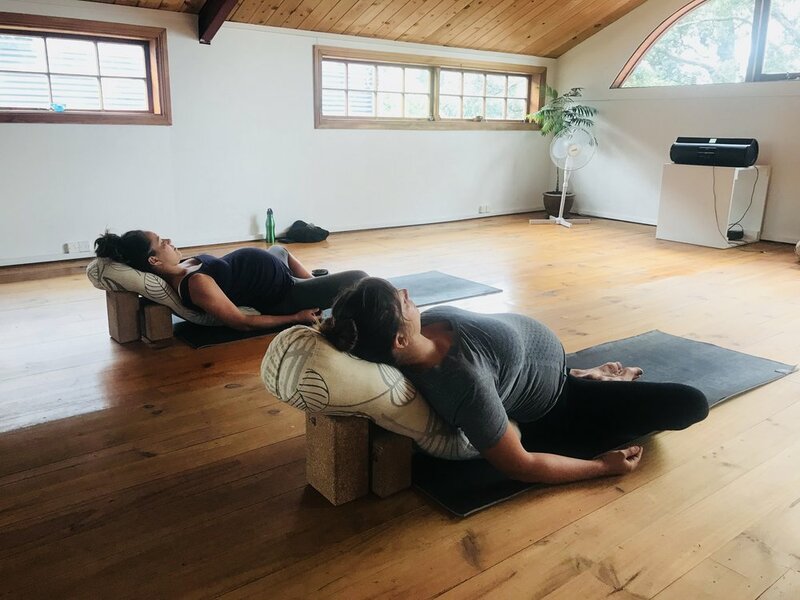 Using body weight and body listening, develop awareness, connection and surrender through partner yoga and thai massage techniques. We will develop sensitivity and work deeper into stretches using partner body weight. Plus an introduction to thai massage which uses a combination of pressure, gentle rocking and assisted stretches. Thai Yoga Massage looks and feels like a dance between giver and receiver. Patti has been teaching dance and movement practices since 2003. She completed her YTT 200 at Vikasa Yoga, Koh Samui, Thailand in 2013 and more recently Thai Dynamic Massage Training at Blue Garden, Chiang Mai in July 2015.
incorporating yin and yang elements. Mindfully moving from activating vinyasa flow to sweet surrender and restoration. Bookings required - spaces fill up!